If you want healthy and smooth skin, try these 6 foods, the healthy skin will be able to perform its duties as the body's first defense against germs and environmental changes. In order for that function can work well, then consume good food for skin health. Another function of skin that is rarely understood is its role in helping bone health. Yes, thanks to the help of skin sunlight can be converted into vitamin D which is very important for bone. The skin is the outermost and visible part of the human body. It is important to ensure the broadest organ health of the human body. One of the supporting factors is food. Body health site will discuss what foods can be prioritized to support the health of our skin. Still likes to avoid this food just because it is considered to make us often waste gas? You should think about it because it has a positive effect on the skin. Sweet potatoes may be useful for reducing wrinkles and the signs of aging of your skin. The reason is that these foods are rich in vitamin A. 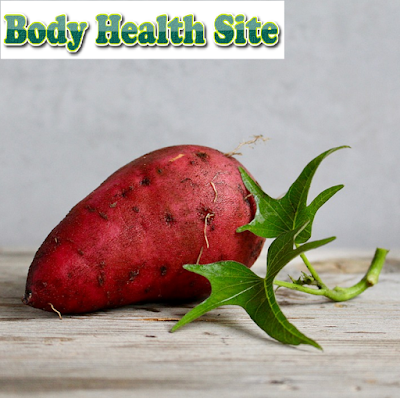 Rather than entrust skin care to beauty products that might be dangerous, what if adding sweet potatoes to your diet? Buying pumpkins just for Halloween ornaments? Should start making pumpkin as one part of your healthy diet. This fruit is one source of carotenoids that play an important role in the fight against free radicals. In other words, yellow pumpkin can be one of the weapons to keep skin from premature aging. In addition, the pumpkin also contains vitamins A, C, and E that are needed by the skin. Eating pumpkin will also make the body get plenty of fiber and well hydrated. If you think the fish is only good for supporting brain development, then know that the skin also gets positive benefits from this food. For those who like it can choose to consume salmon because the meat is rich in omega-3 fatty acids, a good source of fat for the body. With sufficient need for fat, the skin can be protected from dry and dull conditions. For those of you who are on a low-fat diet, but do not want skin health is interrupted, eating fish can be a good choice. Do you want to relax while enjoying a drink that can make skin healthy? So green tea is the smart answer. This drink contains catechin compounds that have a function as an antioxidant. Catechins in green tea have been shown to be effective against inflammation of the skin. In order for the benefits that exist in green tea to last a long time in the body, a study recommends adding orange juice to your drink. Orange juice will slow down the digestibility of green tea's nutritional content, so its kindness is more pronounced by the body. Avocados contain healthy fats, vitamin A, vitamin C, and fiber. The content of various substances in avocado is an excellent combination for healthy skin. The content of fat in avocado fruit may be beneficial to reduce skin damage. One of the skin damage that can be minimized is caused by sunlight such as premature aging of the skin that causes skin wrinkles. A study says one of the mechanisms of avocado to improve it by improving DNA repair. Do not refuse to eat vegetables just because it looks bad or not cool. Know that green vegetables, like broccoli, can make your skin last younger by helping to fight the appearance of fine lines and wrinkles. The more varied colors contained by the vegetables or fruits, the greater the nutrients it contains. Broccoli is a darker color containing vitamin A and C more. For those of you who want to have healthy skin until old age, then eating good food for skin health above can help. Make sure it is balanced with a healthy lifestyle and exercise regularly so that the results are more optimal. 0 Response to "If you want healthy and smooth skin, try these 6 foods"
What are the Benefits of Garlic for Health? Like What Symptoms of Heart Disease?